Looking for a clean, well-cared for 2017 Mercedes-Benz S-Class? This is it. Drive home in your new pre-owned vehicle with the knowledge you're fully backed by the CARFAX Buyback Guarantee. If you're a driving enthusiast, you'll be grateful for the chance to drive this Mercedes-Benz S-Class S 550 convertible. You'll discover what millions of convertible owners have known for years -- nothing beats an open air experience. Pull up in the vehicle and the valet will want to parked on the front row. This Mercedes-Benz S-Class is the vehicle others dream to own. Don't miss your chance to make it your new ride. Surprising quality accompanied by a high level of performance...this Mocha Black on SADDLE BROWN Mercedes-Benz S-Class S 550 could end up being the perfect match for you. Fletcher Jones Imports Las Vegas is pleased to be currently offering this 2017 Mercedes-Benz S-Class S 550 with 3,220mi. Only the CARFAX Buyback Guarantee can offer you the comfort of knowing you made the right purchase. You'll see the world in a whole new light when you slip behind the wheel of this impressive 2017 Mercedes-Benz S-Class convertible. Excellence, luxury and stature are just a few of the pillars this car is built upon. This is about the time when you're saying it is too good to be true, and let us be the one's to tell you, it is absolutely true. Schedule a test drive at Fletcher Jones Imports, located near Spring Valley and Paradise. We can’t wait to show you our Mercedes-Benz CPO inventory, and help you apply for financing! Why Choose a Certified Used (CPO) Mercedes-Benz in Las Vegas? 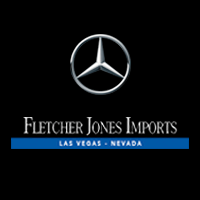 Fletcher Jones Imports’ selection of Mercedes-Benz Certified Pre-Owned vehicles for sale in Las Vegas is ever-changing. Whether you’re in search of a sedan, roadster, or SUV, you’ll enjoy the advantages of a used luxury vehicle without the second-guessing. What’s more, each CPO Mercedes-Benz comes with a CARFAX® Vehicle History Report, so you know exactly what you’re getting. Private sellers around Summerlin can’t make the same guarantee!